In honor of my 5 year blogiversary I wanted to share what blogging has been like for me. Please know that this is my experience and my opinion. I am sure you could ask another blogger and get a totally different point of view. 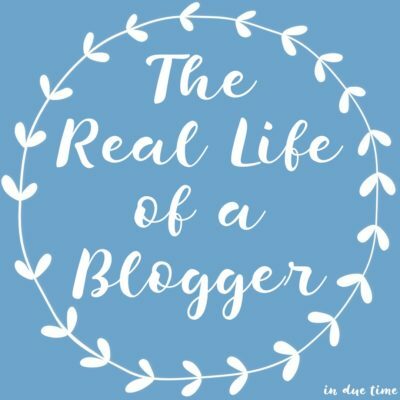 I am not here to judge or compare, but simply what to share what it’s been like from my perspective as well as debunk any myths or ideas around what being a blogger is all about. So often I get reactions like “Oh wow, you are a blogger. You make a lot of money. You get a lot of free stuff. Right?” I think some people think I lead this glamorous life. 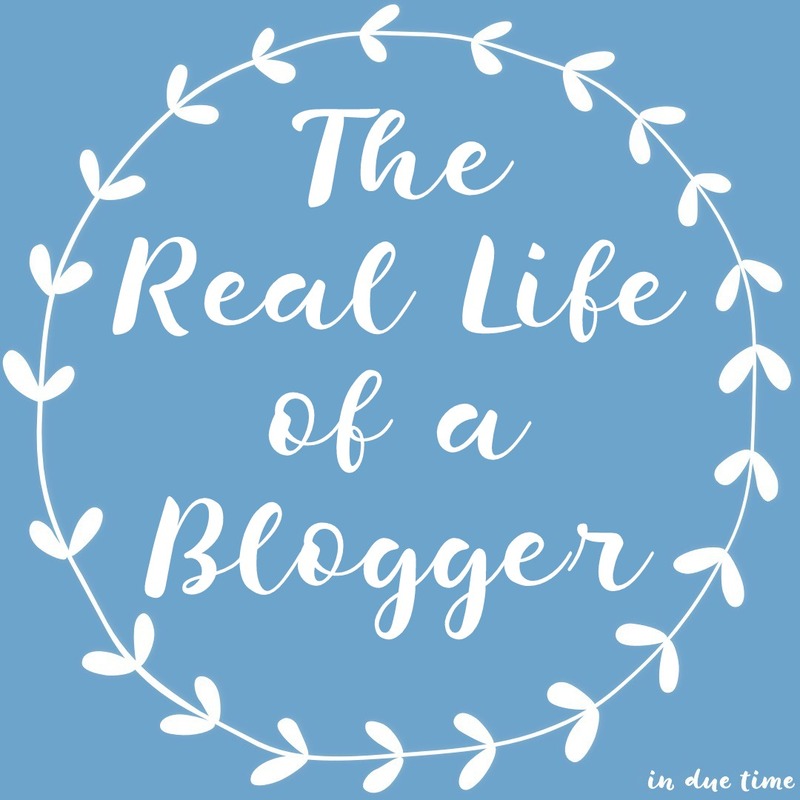 Don’t get me wrong, there are many perks and blessing to blogging, but I want to be as honest as possible in this post and share the true reason I blog. I do not blog to make money. I do not blog for attention. I do not blog to get free stuff. I do not blog because it’s easy or because I have a lot of free time on my hands. I blog because it’s my ministry. I blog because the Lord prompted me to do so. I blog to encourage people. I blog to share hope and encouragement in the waiting. I blog so that others around me would know that they are not alone as they endure trials and long waits. It’s not easy being in the infertility blog niche. It’s also not easy being in the Christian blogging niche. It becomes even harder when I feel like there isn’t a niche I really fit in. Most of the infertility blog friends that I once had are now at home with their kids and the Christian bloggers? Well, the majority are moms too. I grow envious of my fashion, food and fitness blogger friends who share on light-hearted topics and easily attract large audiences. Weekly I see blog posts pop up in my feed with “10 things every blogger must do” or “how to be a successful blogger” and in many ways they overwhelm me because my motivation is so different than many. It’s hard not to fall in the trap of what the world defines as a successful blogger and I know if most people looked at my stats and my following, they would consider my five year journey a failure. But, I have to daily remind myself, that I don’t write for the approval of people, I write to bring glory to Christ. 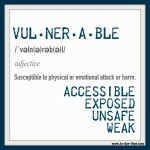 This blog takes a lot of vulnerability. I have completely put our story out on the internet for the whole world to read. I have shared details that so many people don’t even share with their closest friends or family. I have been honest, even when that has meant sharing about my feelings of disappointment or feeling left out. And the hit I take for that? My vulnerability has often led to internet trolls who leave rude comments attacking my faith or the path that we have chosen to take to become parents. I got one of those emails just this week. Blogging is work. I spend hours and hours and hours and more hours. It means getting home late from work, staying up till around midnight or 1 am, and then getting back up early in the morning, just to write a post. It’s a 7 days a week job and something that I invest hours into each day. And it’s not just about writing, but it’s about connecting, investing and responding too. I never want this blog to be a one-way relationship, which is why I take time to engage with those who engage with me. 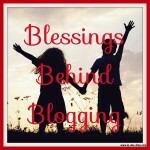 As many struggles and difficulties that there are with blogging, I can’t not mention all the blessings too. 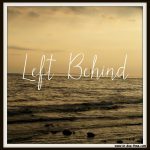 This blog has connected me with people all over the world and for that I am so grateful. I have formed friendships with people that I know will last a lifetime. When I receive an email with words of gratitude, I am reminded that this blog matters. If it takes me hours to write one post and that one post is only read by one person and that one person is encouraged, then to me, that makes it all worth it. So to answer any questions. Have I gotten paid? Yes. Have I received free stuff? Yes. But let me assure you the payment and free stuff is not why I am blogging. The 1 cent an hour or whatever turns out to be, isn’t what entices me to write. I write because that is what I have been called to do. I write because if I encourage one person, then it’s worth it. I write because of people like you, who have chosen to take the time to read. And most importantly, all the ups and downs set aside, I write because this is my ministry. PS. Did you see the announcement I made? I wrote a post about my blog anniversary coming up, which will be 7 years in May! And I feel similarly. I have gotten a little bit of money and some free stuff, but it is by no means the reason I blog or anything worth really talking about. People would probably call my blog a failure too because after 7 years I don’t even have 1,000 followers, but I love writing and even though I don’t focus as much on my faith as you do, I do feel that blogging is a ministry for me too and a way to be an encouragement and a light to people. Loved reading this! You’re doing a great job! Thank you for blogging. I read all your posts and they always encourage me and teach me. You are a blessing in my life. Thank you for all that you do, Caroline. I see how much effort it entails, but know that you are a beacon of light to so many of us going through this journey and you help us with our struggle. I read every blog you post and am so thankful for them….. So well written! I am so grateful for your blog and the ministry work it has done in my own heart. Jesus is using you in BIG ways, Caroline! Keep it up! I can relate SOOOO much to this. We started Little Light on a Hill for ministry purposes and there have been so many times when I think, “Is this worth it?” because we put in SO many hours and so much work into it. We’ve had people say that we are only calling it a ministry so that people don’t think we are trying to make money. We’ve had people assume that we make a ton of money. If I was making a ton of money from blogging I would be working a full-time job AND running a full-time blog, haha It’s funny the things people assume. But I am constantly reminded that this IS our ministry because of the emails and messages we get from people hurting and needing prayer. THAT is why we do what we do. Love your blog, friend! And you are not alone in the “blogging for ministry” aspect!! I love your blog and read it all of the time!! You are always so encouraging and I am blown away by your knowledge of the Bible and the Lord. You are one of those people that makes me think “I wish I knew all of that!’ I started blogging just because we were struggling to have a baby and I was reading so many of them I just figured I would join in! haha I have never attempted to make money or even replied to emails about free stuff just because I am not interested but I think it’s awesome that it’s available for you and others. I too have a Christian blog which teaches. PassiontoKnowMore.com. I have found the technology stuff to be time-consuming. I rarely ? at analytics because that is a roller coaster. A few months of international readers (not bouncers/spammers) but then they disappeared. I work too and sometimes it is exhausting maintaining the whole thing. And I’ve attracted some atheists who want to rip me apart and some of other religions wanting to attack. But EVERY time I get discouraged, He brings someone who encourages me – an email, a text, a phone call – and I am lifted up. He is so faithful. He is so good! What you do matters for the kingdom of God. May the LORD make His face shine upon you. 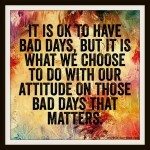 Amen my friend… I needed this. Blogging has changed so much & when you just blog to be true to you & to honor God, I think that’s where the joy & the benefits of relationships come. I feel the tug to want to blog more about my own life & not fall into the cycle of needing to blog with the latest trends… & I was afraid I might loose some readers that way – but you have just reminded me to be true to me – honor God in all I do & just enjoy it… thank you for the inspiration today! Yes! Thank you for sharing your heart over these years. You are such a light. I am SO grateful for the hours and hours you spend! Your ministry makes a huge difference, and is a great blessing to all who read your words. I’m grateful for your vulnerability, courage, and faith! I’m not a mama yet and I haven’t earned a penny from blogging! #keepingmydayjob But I can certainly relate. Hang in there, friend! Thanks for sharing this. Part of my calling is to launch my blog around Infertility, marriage, brokenness and trusting God through it all. I will be launching soon. So this article is really helpful. Thank you, Caroline for being vulnerable, transparent and most of all obedient to Him. Haha, I didn’t know there were trends in blogging or that you are supposed to make money and accomplish something. I like to speak my truth and enjoy the connection with whoever takes the time to read.I think it would stress me out to have a big audience. I like your blog because you are consistent and I get a sense of how you approach life. It’s a different perspective from what I usually get so therefore interesting and useful and sometimes really mind blowing. “Your win is my win” is my favourite post. Caroline your blogging has made such a difference in my life that I am grateful that the Lord picked you to do this. Keep doing what you do best at encouraging people and giving them hope when they need it the most. One day soon you will be juggling not just blogging and work but mommy duties as well. I can relate to so much of this my friend and I for one am extremely grateful for you and all you are doing for the Lord. You are wonderful. 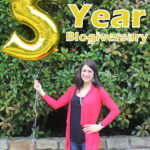 Happy blogging anniversary! I love this! And, you’re right, in a niche like yours readers deserve to hear your heart, not your desire to make some money. Thank you for being vulnerable and sharing your life!! thanks for sharing. Happy Blogging anniversary. I love this! I can definitely see it being hard to find a niche but it looks like you have been doing extremely well without one. 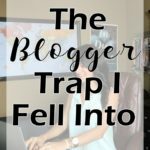 I’m so glad you opened up why you blog and how you want at least one reader to connect. I feel the same way. Happy blog anniversary! Always good to blog what you love, but it is nice to have your blog be self-sufficient. Love this post! Especially that you’re not in it for the money, fame, etc that the world defines as a “successful blogger” but rather to share what the Lord has put on your heart. Keep it up, girl! Thanks for sharing what blogging means to you. MOST bloggers aren’t making a ton of money or getting lots of free products. And even if they do, it’s still hard work. You have to love it, and it’s obvious you do! Congratulations on your blogiversary. I think you’re doing a phenomenal job! I love this. I also feel like all the work I put in my blog is totally worth it. I love the feeling of thinking that I’ve touched people’s lives! Great post!! There are definitely some misconceptions out there. Congratulations on your anniversary! That’s great you’ve come this far and learned so much. How wonderful that you are continuing to blog because you have been called to do just that!! And your announcement is definitely an exciting one. May God bless your conference and all those hearts who need to be encouraged! You have a very specific niche which is your ministry here. But I think it is an important one for sure. I am sure there are a lot of hurting women out there who would be encouraged. And that issue in the Christian church is often forbidden to speak of, or only in hushed tones. Go you! And keep doing what you are doing. Congratulations on 5 years! Your blog is wonderful. My blog is my ministry too. It isn’t easy at all. I sometimes feel like I have to justify all the time I spend on it, but I know that this is what God has called me to. I do love it. I love that you blog about what is important to you! I love reading everything you write and can tell just by the comments above mine that you are helping people everyday and that is amazing! Thank you for sharing your true purpose, I also blog for ministry and I feel like God is doing great things through his children who blog and share their lives with the world. It’s a great life — it’s a tough life hahaha. Thank you so much for this post! I feel the same way, it’s definitely a ministry for me as well, a vocation, a call (hence the name of my blog, http://www.particularlycalled.com). I’m not even quite a year old yet so I am blessed to have so many forebearers to look up to and learn from. I am struggling with the vulnerability side and the time involved, but I know God has plans in store…. even if it’s just to touch that one soul.